Sebastian, a senior living homeless in San Diego, was tired of being hungry and frightened on the streets. Here’s how he changed his life with help from Father Joe’s Villages. However, he continued living on the streets to feed his addiction. Over the next couple of years, he managed to survive but was often hungry, alone and anxious. Eventually Sebastian stopped working and lost his income. Every day, he continued to struggle to find food and a safe place to sleep on the streets. At 65 years old, Sebastian finally had had enough. “I didn’t want to live in fear anymore,” Sebastian said. He was admitted to an inpatient drug treatment program and reemerged sober—ready to start again. Sebastian’s Case Manager, Deanna, helped Sebastian apply for benefits, find housing and access services. 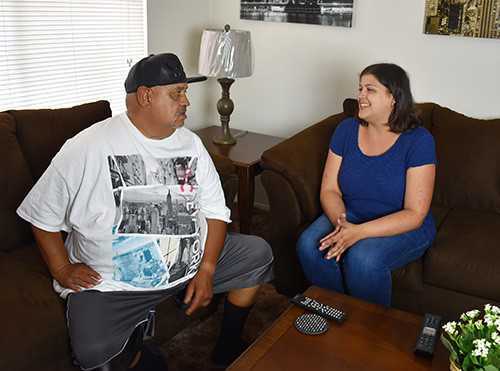 He was referred to Father Joe’s Villages’ Rapid Rehousing program where clients are provided short-term rental assistance and support from a Case Manager. “They cared for me. No one else had cared for me,” Sebastian said. As a Marine Corps Veteran, his Case Manager was also able to help Sebastian obtain benefits from the U.S. Department of Veteran Affairs. 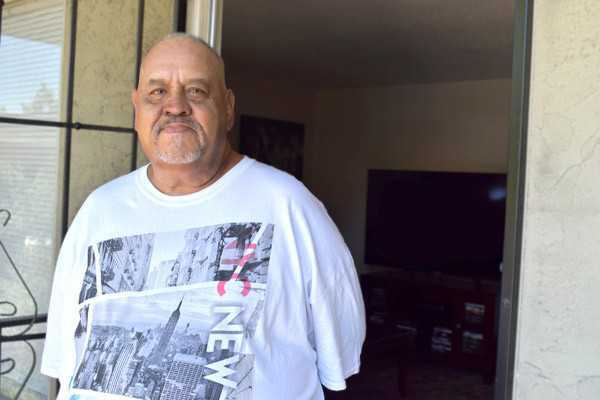 Despite the struggle many seniors have finding affordable housing, Father Joe’s Villages helped Sebastian find an apartment that worked for him. However, he’s one of the lucky ones. Even if there is available affordable housing, the average Social Security payment barely covers the cost of rent in San Diego and often leaves individuals with an income well below the poverty line. Many people over 60 struggle to cover utilities, transportation and health care expenses. Sadly, more and more are ending up on the streets. In fact, 20% of the adults we serve in our emergency shelter and 30% supported in permanent housing by our Tenant Services team are aged 60 and older. 35% of respondents to a survey of homelessness conducted by San Diego’s Annual Point in Time Count reported being over the age of 55. 50 of these individuals were even over the age of 75. 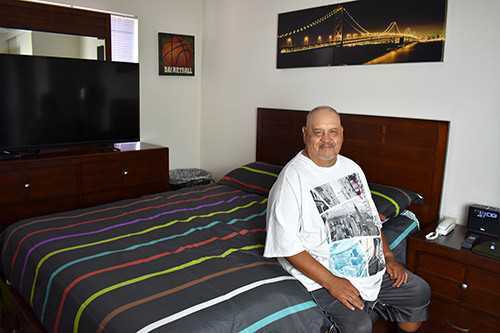 Today, because of our incredible donors, Sebastian not only has a place to live, but a true home of his own and peace after years of fear and desperation living on the streets. Sebastian is now working on rebuilding relationships with his family and giving back to help people experiencing homelessness. His children are happy to have the opportunity to reconnect with their father. They even visited him in his new home and held a barbecue for him.